During the season the theatre’s office is generally open from Monday to Friday 10 am–4 pm. The office is closed in June and July, and during the winter break. Administratively the theatre is run by a support association, which any person or organisation that supports the association’s objectives can join. The association’s purpose is to maintain the activities of Open Doors Theatre. A Board of Directors is elected annually from among the members of the association to manage the affairs of the association, that is to engage staff to run the activities of the Open Doors Theatre and approve action plans and budgets. The Board supervises the theatre’s finances and examines the financial statements and annual report. The support association is a an official registered organisation with a business ID, which can apply for grants, enter into contracts, pay wages and salaries and write invoices. The Open Doors Theatre’s activities are supported by the City of Helsinki Cultural Office and Arts Promotion Centre Finland, Teatteri Avoimien Ovien Ystävät ry (Friends of Open Doors Theatre Society) and people and organisations who have sponsored a seat in their name. Teatteri Avoimet Ovet – Open Doors Theatre was founded in 1994 by actress Liisi Tandefelt to support her own touring activities, which had begun in the 1970s. She toured both in Finland and abroad, and in addition many of her performances were televised. Her search for a permanent stage produced results in 1997, when Tandefelt found the empty bank premises on Museokatu Street, and the Open Doors Theatre found a home there. The theatre was modelled on Central European café and tearoom stages, meeting places and cultural clubs. Performances began in Töölö in April 1998. Tandefelt continued to act in addition to her role as stage designer and costume designer in her own theatre, but she also invited many international visitors, from Germany in particular, to Museokatu. The repertoire was strongly biased towards music and literature. In Liisi Tandefelt’s period as director (1998–2003) many classical concerts were included in the theatre’s repertoire as she had excellent contacts with artists in that field. Poetry also played an important role. During Heini Tola’s directorship (2004–) the theatre has focused strongly on drama, especially on Finnish plays. Two of the theatre’s own productions are staged every year, and the premières are followed by some 30 performances of each. In addition the repertoire includes visiting and joint productions. Although classical concerts are no longer on the programme, music still plays an important role, for example tango and song evenings are arranged. Poetry readings and evenings dedicated to specific authors are also organised regularly. The Open Doors Theatre has received the following awards: Aesthetic Action of the Year 2000, Theatre of the Year 2009. The Open Doors Theatre is a member of the Finnish Theatre Centre association. Theatre director, stage director, dramatist Heini Tola has a Master of Arts degree. She was born in Tampere in 1953. Actress, stage designer, costume designer Liisi Tandefelt is a trained interior architect and actress. She was born in Hämeenlinna in 1936. Tickets are on sale at the Open Doors Theatre from Tue–Fri, 11am–2 pm during the season, and one hour before the performance. The entrance to the theatre is at Erottajankatu 5, courtyard. Tickets can also be booked by phone (09) 4342 510 during the ticket office’s opening hours. 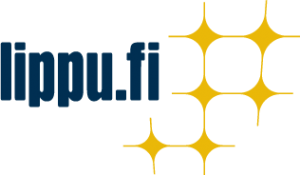 Tickets can be purchased and reserved tickets collected at all Lippupiste sales outlets and R-Kiosks.